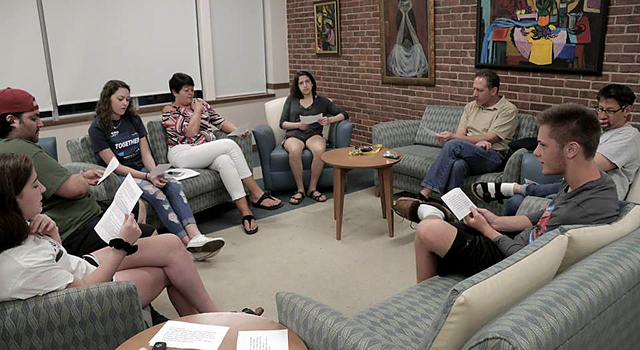 Several chapters of BBYO Connecticut Region celebrated Shavuot with overnights in which they spent the nighttime hours learning Jewish texts and eating “traditional” Shavuot food – aka dairy products. One such group was Nadav BBYO (pictured here). The West Hartford chapter ran a program dubbed “Texting and Tasting,” in which teens and their parents came together to learn and discuss different Jewish texts…and then sampled different flavors of cheesecake.